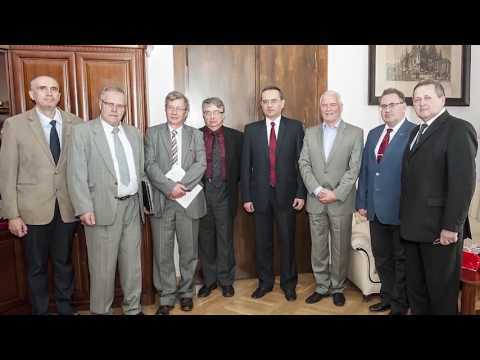 The cooperation between the medical schools of Wrocław and Ternopil, and tradition of summer exchange visits for their students continues. 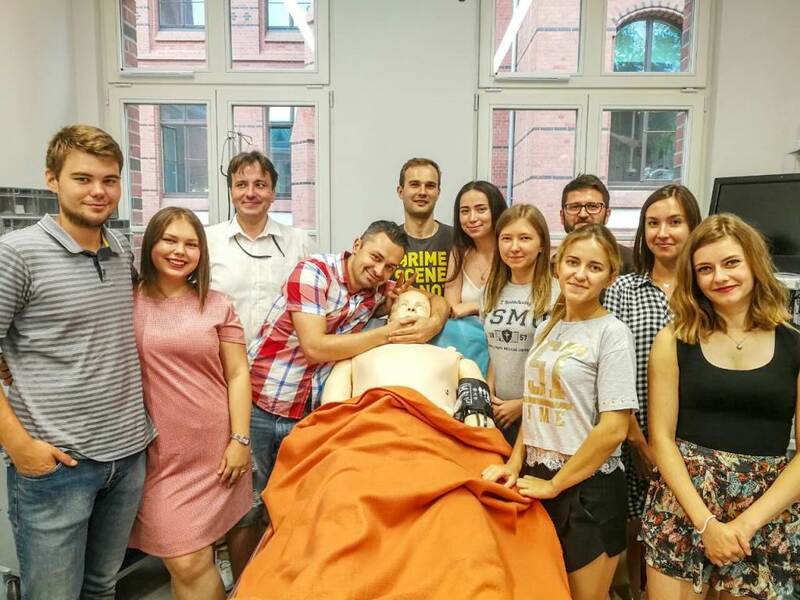 This year our university was represented by 4th, 5th, and 6th year students of the Faculty of Medicine Serhii Vozniuk, Ihor Stetsiuk, Liubov Stasyshyn, Marta Syvyk, Roman Yaroslavytskyi, Anastasia Mykytiyuk, Denys Kosharskyi, Olena Hryhorchuk, Roman Zvarych, Mykhaylo Vasylenko, Olha Vorobel , Antonina Shumeliak and group leader medical intern Volodymyr Dzhyvak. Professor of Wrocław Medical University and the Honorary Professor of Ternopil State Medical University Wojciech Barg once again served as an organizer and coordinator of activities between our universities, lining up placements for our students in the specialized departments of Wrocław hospitals. 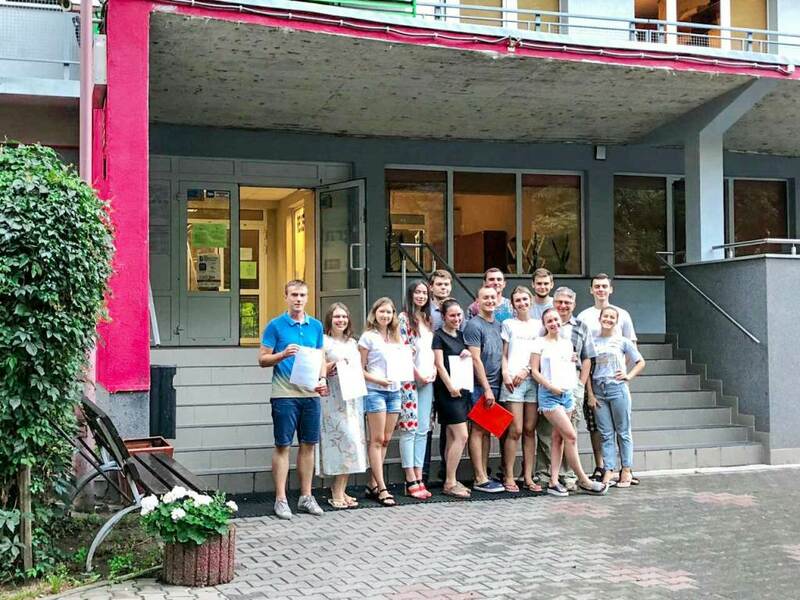 From July 16 to August 10, students studied the work and were involved in the departments of cardiology and cardiac surgery, anesthesiology and intensive care, otorhinolaryngology and maxillofacial surgery, dermatology, gynecology, nephrology and hemodialysis, minimally invasive surgery, emergency, orthopedics and traumatology, neurosurgery and ophthalmology. In addition, the doctors-in-training a recently opened simulation center. 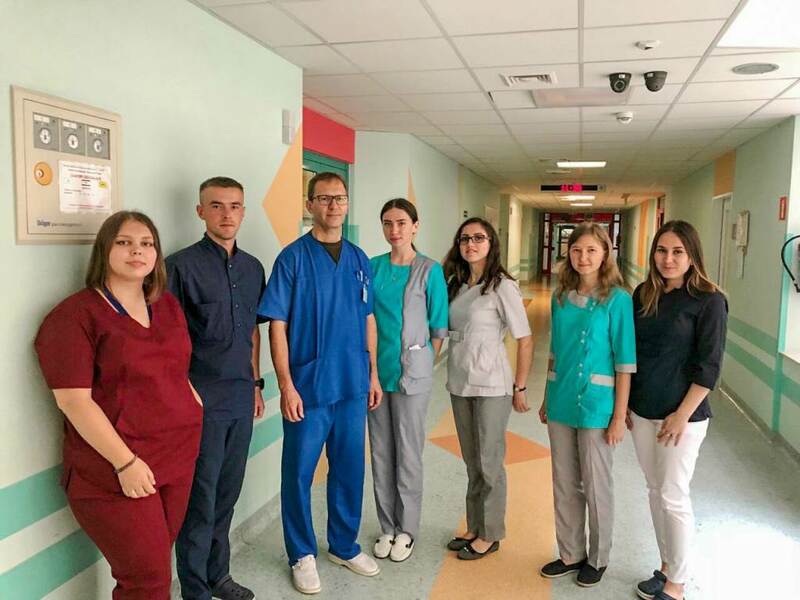 Ternopil state medical university students were pleasantly impressed by the hospitality, approachability and the high professionalism of hospital staff. The also noted the large size of the university hospital, range of its services, and availability the latest equipment. 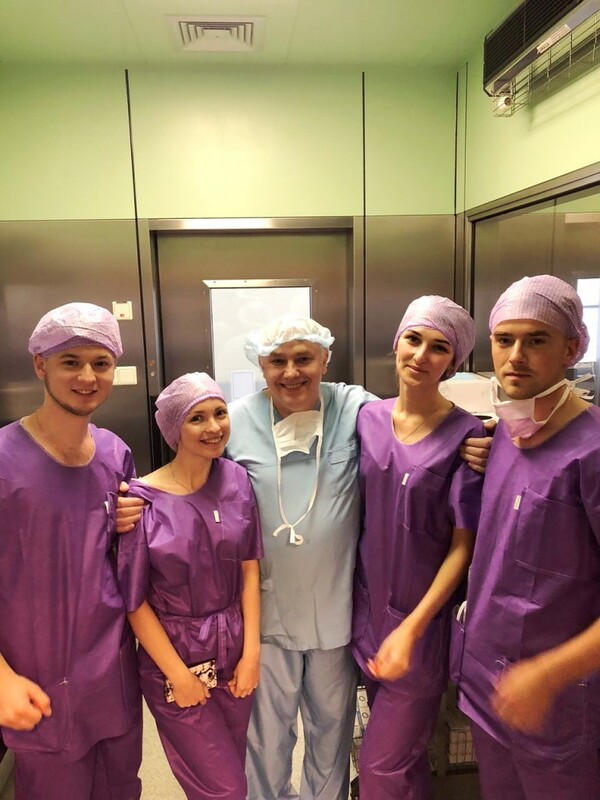 The placement in the intensive care, cardiology and cardiac surgery department was truly unforgettable since the students were able to observe coronary bypass, mitral valve replacement, and coronary stenting surgeries under the supervision of Doctors Gemel and Andrzej Szczepanski. 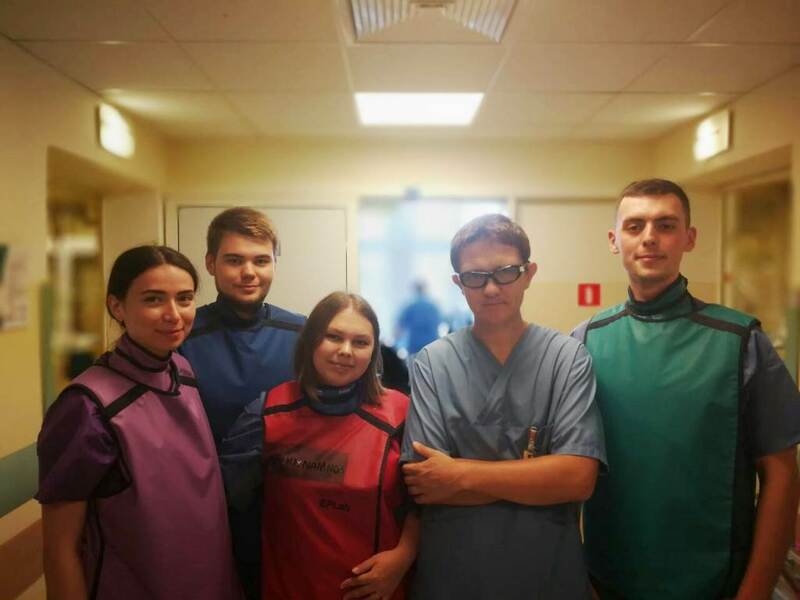 The placement in the department of anesthesiology and intensive care, under the supervision of Doctor Halynu Toporkow, allowed the students to study organization of work in the department and participate in medical rounds and patient exams. The students were able to practice important skills such as spinal anesthesia and intubation. Practical classes in the Department of General and Operative Gynecology also offered invaluable experience. 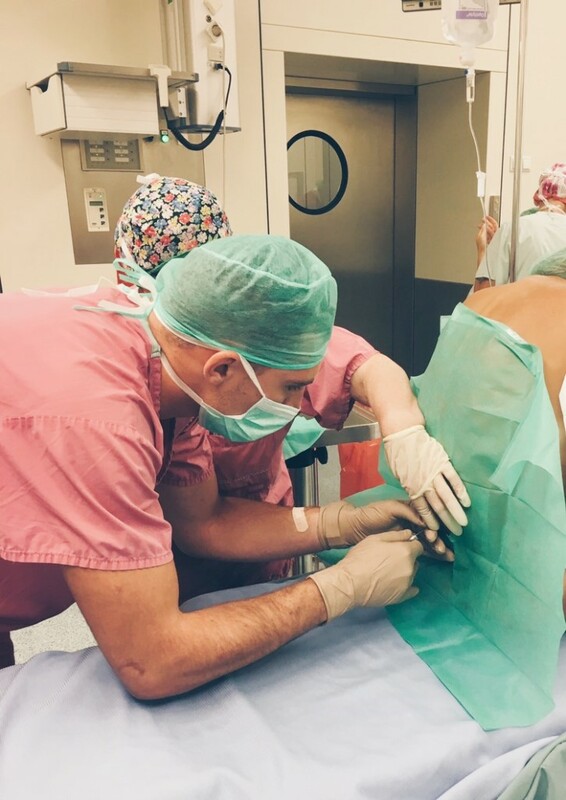 Under the guidance of Doctor Artur Wiatrowski the students observed surgical intervention for endometriosis, resection of ovaries, tubectomy and caesarean section for a twin pregnancy. Placement with the Department of Maxillofacial Surgery allowed the students to examine patients with facial and oral pathologies, and observe admission of the patients for a surgery. 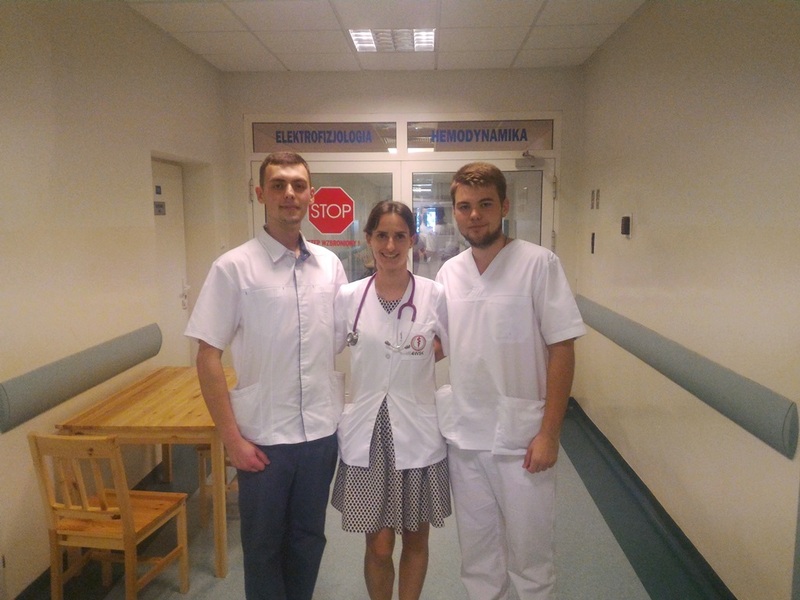 At the department of nephrology and hemodialysis, students under the supervision of Doctor Katarzyna Nowanski studied hemodialysis. 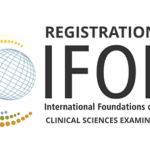 They performed rounds, and examined patients with acute and chronic renal failure, congenital defects of the kidneys, and after kidney transplantation. 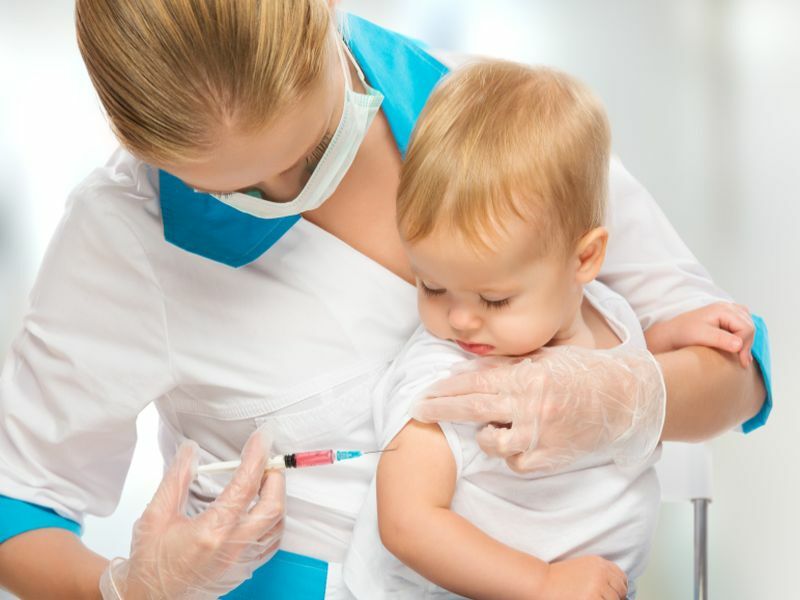 The clinic is managed by the renowned nephrologist, professor Marian Klinger. 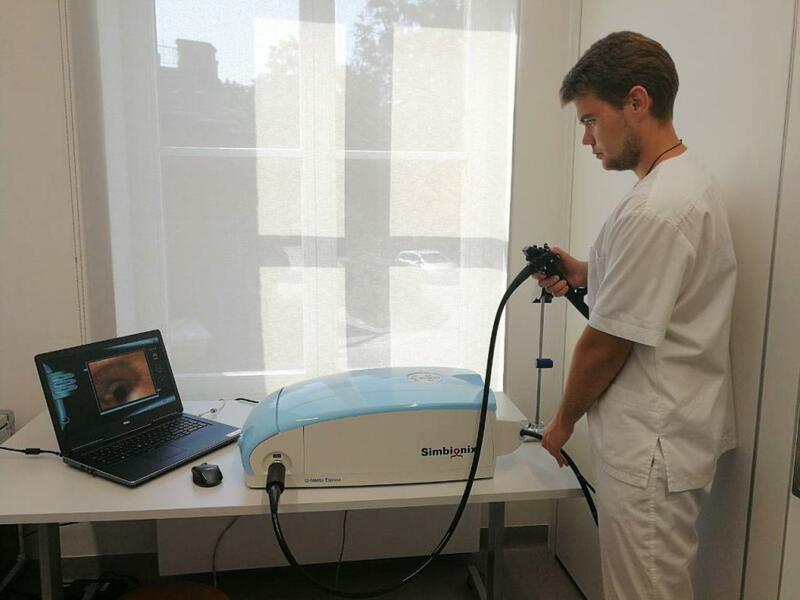 In the otorhinolaryngology department, TSMU students had the opportunity to develop their practical skills. 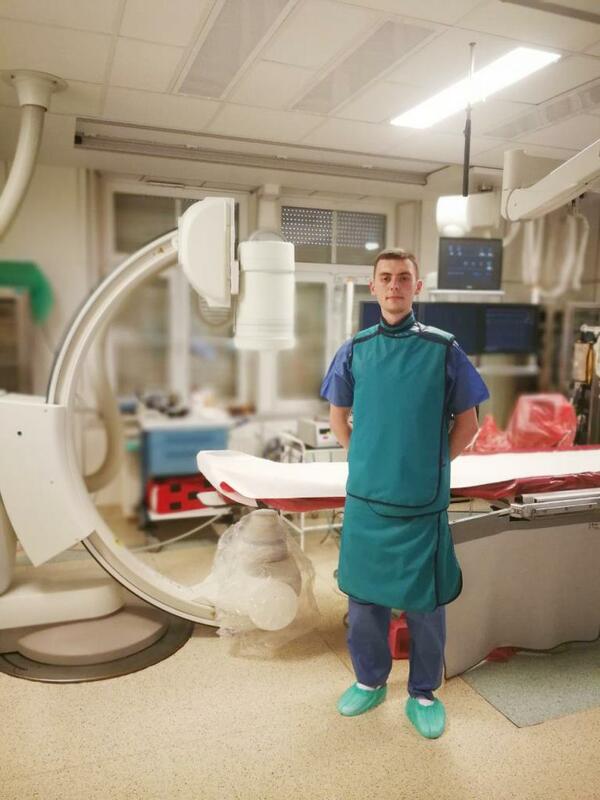 At the department of non-invasive surgery under supervision of Doctor Maciej Sebastian TSMU students took part in the rounds, changed post-operative dressings, observed ultrasound-guided laparocentesis and a number of other minimally invasive surgeries. In addition to developing their professional skills, the students found time for cultural and spiritual enrichment activities. 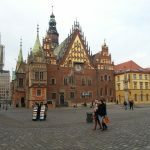 They visited museums, monuments and places of worship in Wroclaw, Warsaw, Dresden, and Krakow. 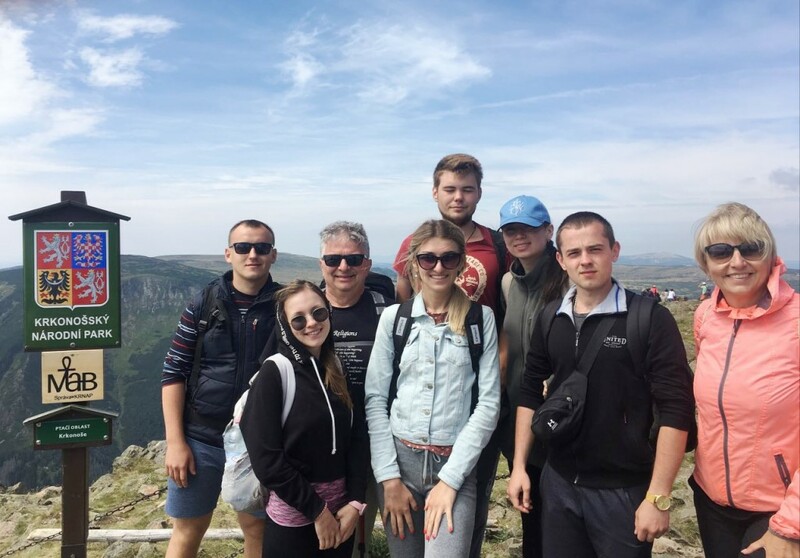 Together with Professor Wojciech Barg our students visited the Karkonosze Mountains and the Książ Castle.